As you might have gathered from the content of this blog, I love all things mobile. I would go so far as to say I could love basically any mobile phone, or at least can find something, even one thing to love about it. And yes this includes a certain ‘iconic’ device that my friends seem to think I love to hate (it’s a usage paradigm thing, great hardware otherwise). Ultimately I hope to find one device to rule them all. That’s my utopia. To be able to carry a single device that I know without compromise could do everything I need to do, and it would have to fit in my pocket. Quite a tough and as things stand, I’m still on the lookout. The Nokia N8, at this point in time is the device that has gotten the closest for me. Of course it has many flaws, there is no such thing as the perfect device, and for certain things I can find other devices that perform certain functions better. But for my core needs and for an all-round device, the N8 is still the one for me at this point in 2011, though that will not stop me looking of course. So that got me thinking. Why not put together a series of blog posts that would shed some light into some of the reasons why I am so enamoured with the N8, despite its well documented shortcomings, particularly in this software centric era that we find ourselves in. So I bring you the first in what I hope will be a comprehensive analysis of the best bits about the N8. When I’m asked why I love this beast of a phone so much, one of the first things I point is a little misunderstood piece of hardware, the FM transmitter. I will confess that in the beginning I wasn’t that sold on the idea. 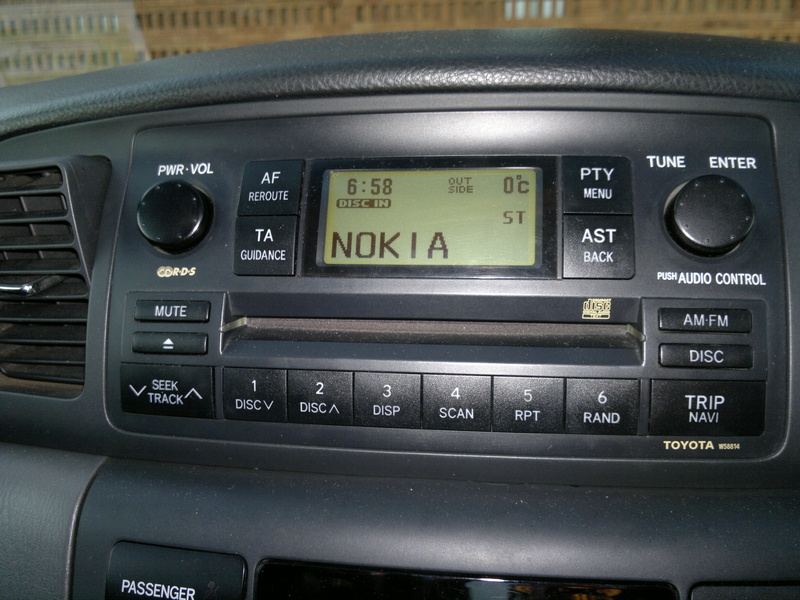 My car radio could read MP3s and with four of five CDs I could put together a decent selection of music. I also rather enjoyed the mental process of putting together compilations and album mixes, a relic from my past enjoyment of the almost sadly defunct mix tape. I had experience of the FM transmitter from my wife’s diminutive N79. The N79, considering the form factor and the price point, was an ambitious little device with a spec sheet that promised so much, but suffered the dreaded jack of all trades, master of none syndrome. The FM transmitter suffered as result. We used it on a family trip from Joburg to Durban in 2010 and performance was sketchy at best. So when I got the N8 I was not expecting much. And it didn’t begin to well. I had my car radio set up perfectly. The equalizer was set to tolerate the stress that my wide-ranging music collection can put on a radio, at any volume. When I first tried out the N8’s FM transmitter, all I got was horrible distortion, even when it was clear I was transmitting to an empty frequency. I fussed and fussed, for about three days, until by some miracle I reset the equaliser and viola, perfection! The FM transmitter is perhaps the ultimate geek piece of tech. It’s for fiddlers and it is at this stage that a fiddler will come into their own. You see, using the FM transmitter isn’t a simple as turning the transmitter on, tuning to any random frequency and playing your music or podcasts. It’s a work in progress, requiring constant refinement. My journey to work is one that takes me from the East Rand of Gauteng to Braamfontein via the airport, then precariously navigating Gilooly’s interchange, through Bruma, onto the M1 south around the Houghton area and finally to WITS University. It’s only 40 km, but you would be surprised at the amount of interference one encounters on the way. When there’s no traffic I go down the N3, onto the M2 and round to the M1 north, and again the level of interference especially once you hit the city is staggering. But it is a pleasure once you hit on a frequency that tolerates most of the interference. Right now I have settled on 93.0, by way of 102.3 and 91.3. The frequency doesn’t do so well on the M2 side but my usual route is safe, well until I get into the University where I’m sure there’s some illegal transmitting going on there somewhere! I have a couple of back up frequencies too, 100.8 and 103.4 that also do reasonably well. Like I said a work in progress. This past month, I have come to appreciate the FM transmitter even more. The CD player in my car has stopped reading discs, and the radio itself can get a bit much. It has been such a pleasure to be able to have access to nearly 10 Gb of content, music and podcasts, that I have on device. And on that note, I have finally managed to get through all those podcasts that have been collecting up. A lonely car ride is the perfect time to get through them one by one. The FM transmitter is one piece of tech that screams gimmick, but rest assured that once you’ve used it and got through the painstaking set up process, it something that you will grow to appreciate more and more. The FM transmitter on my phone is a genuinely useful real world piece of technology and one that I hope manufacturers other than Nokia will start to consider putting into their devices.